Welcome to Heather's Odyssey Elana! It is a pleasure to have you here and to be celebrating the release of your debut novel with you. Tell me, what inspired you to write a young adult dystopian novel? 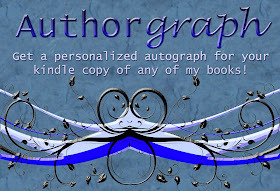 Inspired by another author, I love that! While writing what is the one thing you cannot do without? I love that your needs change with the stage of the process! What was your favorite part of writing Possession? 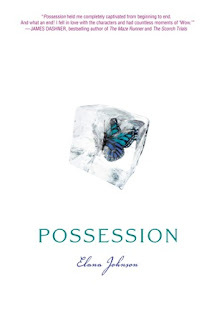 Elana: My favorite part of writing Possession was crafting the relationships between the characters. Whether is sibling, romantic, a parent to a child, relationships fascinate me. Me too! It is often the best part of the novel for me. Is there anything you can tell us about Possession that we may not know from your website or blog? Elana: Well, I haven’t posted much about Possession, except for the official back cover copy. I have revealed a little bit about the world and technology, and that’s it. Okay, how about that Vi is similar to me in some ways, and my complete opposite in others. #closer? I don’t really have anything else. Mostly I just can’t wait to hear what readers think about it! Awesome dishing! Wow, 17 days to write and 13 months to revise! I have to admit I'm excited about all the kissing. ;) What do you have in store for us after Possession? A sequel or a new novel perhaps? That sounds excellent! With that in mind, which character did you enjoy writing the most and why? Elana: I love writing from Vi’s POV. She was very therapeutic for me. My favorite character in the book is Jag—I love the relationships he has with his brothers. The character I wish I could spend an afternoon getting to know better: Zenn. Not picking favorites I see. That must mean they're all equally awesome! Any closing thoughts to leave us with? Elana: I’m going to go all sappy. Are you ready? I’ve been so grateful for everyone in the virtual world who’s supported me. Whether that was with a tweet, a blog comment, an email, or offering to host me/my book on your blog, it’s been nothing short of amazing. So I just want to say thank you. Aw, now you've got me all sappy! I was so not ready for that. You're welcome! It has been a pleasure supporting someone as giving and generous as yourself. Here's wishing you and Possession monumental success! Okay peeps, join me in clicking on the title to pre-order this amazing lady's book. You won't regret it, I guarantee it. One thing I really like about Elana is that she is so real about her journey and very supportive of other writers. I'm looking forward to reading POSSESSION. Wonderful interview, Heather. I love that the first scene Elana wrote ended up on page 130 in the final version. We don't have to lose our great first scenes, just find the right place for them! Karen, that's part of what I love so much about her! We can email back and forth as we read it next month! Linda, thank you. I love that Elana did that too! No scene is ever truly lost if we wrote it well. Heather, Thank you for another wonderful interview. And you know it, I'm buying Possession! Every person you have interviewed, I've read their books and love them! I know I won't be disappointed. Elana's gratitude is heartfelt. An amazing woman. Thank you for sharing this beautiful author. I'm putting this book on my wish list right now! Lin, fantastic! If the first chatper is any indication of how great the book is (and I bet it is!) you will not be disappointed! Brenda, I know me too! I'm really dying to read it after the first chapter teaser! She is pretty amazing isn't she?! Thanks, Heather! You are awesome to give me your blog space today. Thank you for taking time out of your schedule to drop by Elana! It was a pleasure having you over. Sounds like a great story... I'm a sucker for love drama (is that toally lame?!) Can't wait to read more! Christy, thanks! You and me both, I'm itching to read the whole thing! Julie, not lame at all, I am too! Great interview Heather and Elana. I'm so amazed that Elana wrote this in 17 days. Wow! Love this interview. Wow, 17 days without an outline. Impressive. Not happening in my neck of the woods. Natalie, Elana is pretty amazing! Stina, I know me neither! I'd go crazy without an outline and I envy those who can write without one! Great interview. It's so good to hear that people don't just magically write novels, all perfectly ready to go, in a month! Heather you are such a fantastic host! Elana... I love your upbeat attitude and kind heart. I wish you all the success in the world! Lydia, wouldn't it be nice if we could?! Practical no, but definitely nice! Michael, thank you. She does have a fantastic attitude, you should see her blog! Elana is so AWESOME!!! And I can't WAIT to read Possession, I just know it's going to rock!! Shannon, you've read it already?! I'm sooo jealous! Lisa, she really is! I can't wait to read it too and see it in the bookstores! 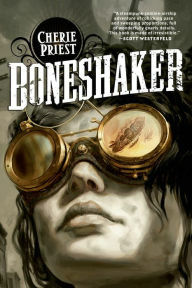 So I downloaded it (Galley Grab) but when I was at page 4 my computer died! :( I'm so sad!! I really wanted to keep reading. Great interview. I really appreciate her positivity. D.U., thank you, and thanks for following! Yep Elana is pretty awesome.